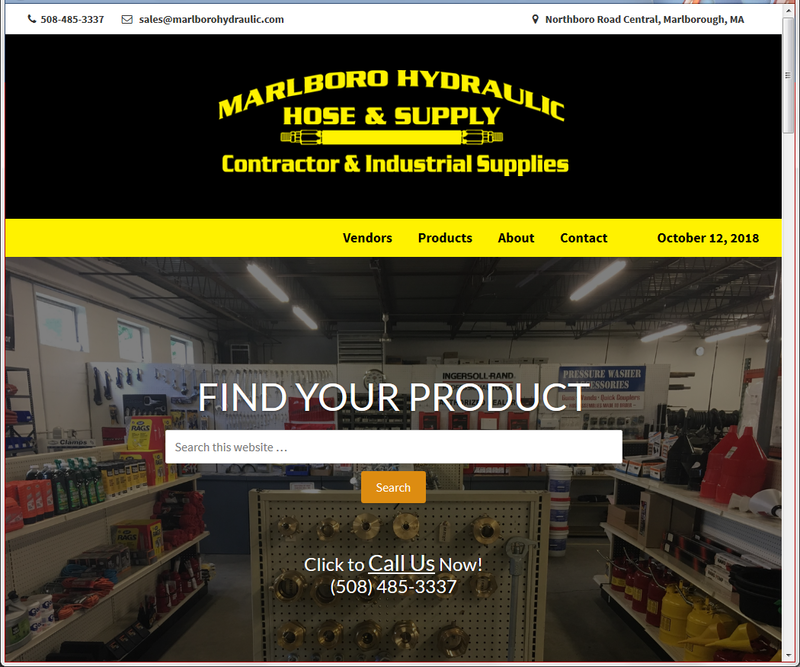 Congratulations to Marlboro Hydraulic Hose & Supply of Marlborough, MA for launching its first ever website. The website launched Friday, October 12, 2018. In addition, it wanted a website that reflects its culture and branding, and, that staff can keep updated. The heading mimics its business cards. The menu items lead with the vendors and products (i.e. highlighting quality), that are available. Its reputation as the go-to-guys for hard-to-find products is highlighted on the home and about us pages. Products are presented in general product categories. In addition to products being listed on each category page, build-while-you-wait services are highlighted at the top of each of those pages. I wish them the best of luck with their website, and, hope that it bring them great visibility and prospects!